Adventures by Disney® announces the introduction of its first-ever river cruising itineraries. Sailing with AmaWaterways, the travel industry’s premier luxury river cruise line, Adventures by Disney river cruises offer a new way for your family to experience the heart of Europe in a way that is active, immersive and easy. 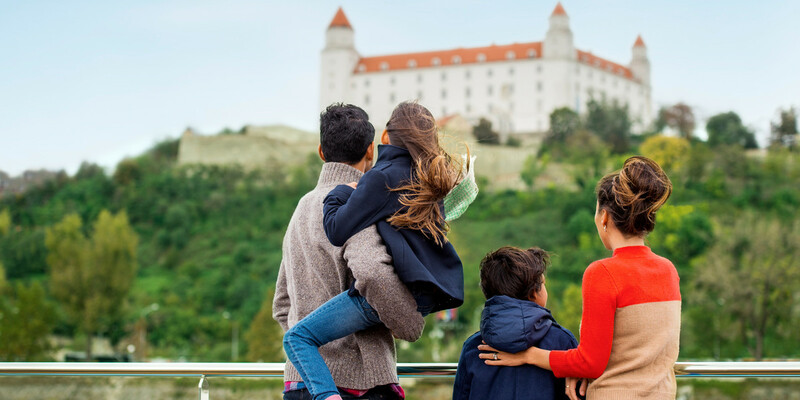 In 2016, Adventures by Disney will offer sailings along the Danube River, allowing your family to explore the iconic locations and hidden gems in eight destinations across four countries – Germany, Austria, Slovakia and Hungary. These 8-day/7-night active departures will take your family off the beaten path in search of the culture, art and unique stories intrinsic to each European city and town visited. From medieval activities at Devin castle in Bratislava and a walk along the tree tops in Kopfing to a visit of locations filmed in “The Sound of Music” in Salzburg and biking in every port, the opportunities for exploration are endless! Get a glimpse in this video! As you explore, your family will sail aboard the all-new, 170-passenger AmaViola, a river cruise ship that is being custom built by AmaWaterways with families in mind. New family-friendly design elements include specific room configurations, including six sets of connecting staterooms, as well as some rooms and suites that accommodate three- and four-person families, and other unique details that lend themselves to luxury family vacations. And, if your fa,ily is looking for even greater immersion into local culture, they can add an Adventures by Disney guided 3-day/2-night pre- or post-stay land package in Prague, Czech Republic, which includes a variety of active experiences, such as a cultural immersion tour of Prague with a local guide, dinner at Folklore Garden with traditional music and dance, a Prague river cruise featuring monuments and architectural highlights and much more. Contact a Jen Mitchell Travel river cruise specialist to book your trip!